1. I'm not a huge Porsche fanboi, but I know what they are and I know what basic shape they should be and where the engine should go. So to me, this is a Porsche through and through. 2. I actually like the look of this car better than any air-cooled 911. I just was never into them. I mean if you have a 60s vintage Porsche, that's really cool. 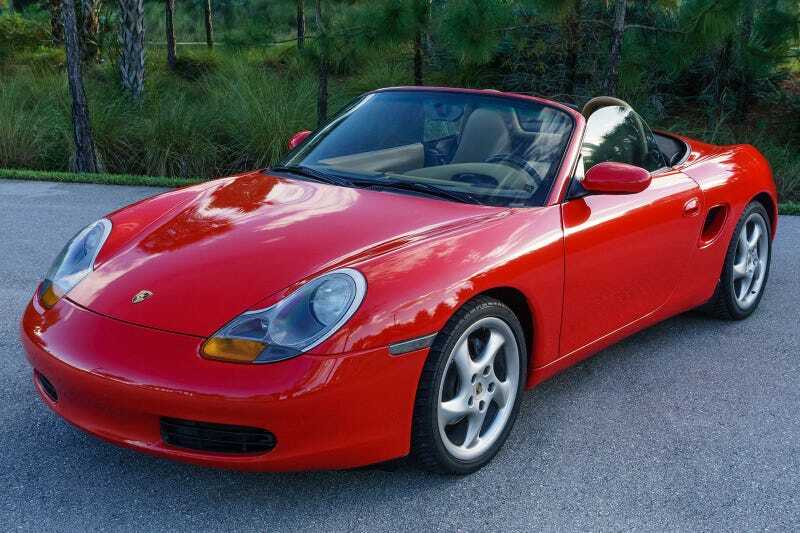 But if you have a 90s Porsche that looks like a 60s model only worse......ya I don't follow. 3. I'm cheap. And that's the idea of this car, it's entry level. This one in California looks like a steal at $8995 or best offer with only 59k miles. Someone buy it! I would, but can't right now because I'd rather stay married. But I'm seriously considering one of these for my next toy.